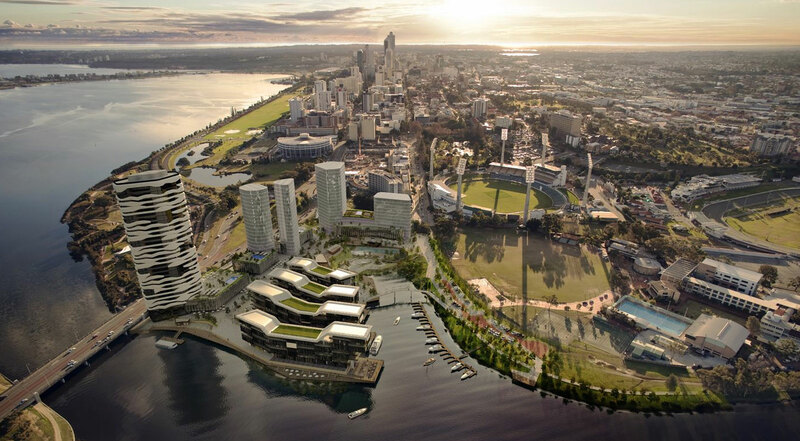 The creation of a revised Master Plan for a 40 hectare development on the banks of the Swan River. The plan was to incorporate an integrated waterfront concept comprising residential, retail, commercial, recreational, entertainment, educational and community uses, with a new river inlet in its heart. The delivery of a world class master plan which achieved best practice in marina precinct design and satisfied the various stakeholder interests and technical limitations of the site. The master plan was developed and delivered with a major awareness of its landmark location and high levels of public interest and scrutiny. At Benchmark’s insistence, more detailed geotechnical testing was implemented, which revealed the existence of the deepest paleochannel ever discovered in the Swan River. The project team was then able to utilise this information as a guide in the reconfiguration of the master plan to achieve the same developable area, and to deliver the same iconic vision as the original, though fatally flawed, plan. Formerly called Gateway, the 40-hectare location best known for the WACA international cricket ground, Gloucester Park harness racing track and Queen’s Gardens, Riverside is set to become a bustling, vibrant community hosting a wide range of entertainment, commercial and residential developments. Riverside will attract $2 billion in investment and bring 7000 new residents into the area and attract another 6000 workers, when completed.